To Mark the Year of the Monkey, Royal Mail has issued a limited-edition stamp sheet featuring celebrations of Chinese communities around the UK. 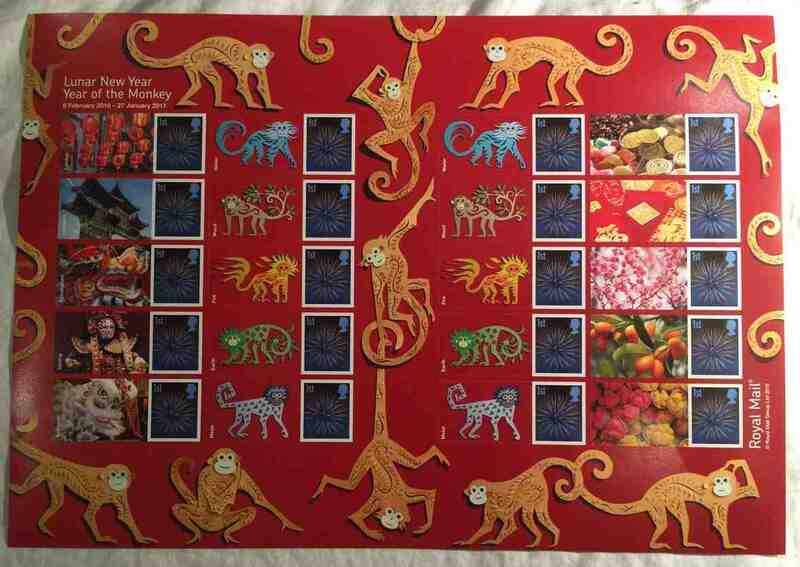 In her letter to Chinese Ambassador Liu Xiaoming, Chief Executive Officer of Royal Mail Group Moya Greene wrote that the Lunar New Year was a cause for celebration across many parts of the UK and worldwide, and that the Royal Mail was delighted to be marking the Year of the Monkey with this sheet of stamps. On behalf of everyone at Royal Mail Group, she extended her best wishes for the year ahead. On 19th February, Ambassador Liu Xiaoming wrote to Ms. Greene expressing his appreciation of Royal Mail issuing stamp in celebration of the Year of the Monkey. During the Chinese New Year season, when a variety of celebrations were held in London to welcome the coming of the Year of the Monkey, this limited-edition stamp that the Royal Mail issued was undoubtedly a touching expression of good will and a very best gift to highlight the New Year festivities, the Ambassador wrote in the letter. He continued that 2016 was the opening year of the "Golden Era" of China-UK relations and it was a delight to see the encouraging momentum in the ever-growing ties between China and Britain in all fields. He hoped that the celebrations of the Chinese New Year, including the issuance of the Royal Mail stamps, would help make a good start in China-UK relations in the new era.